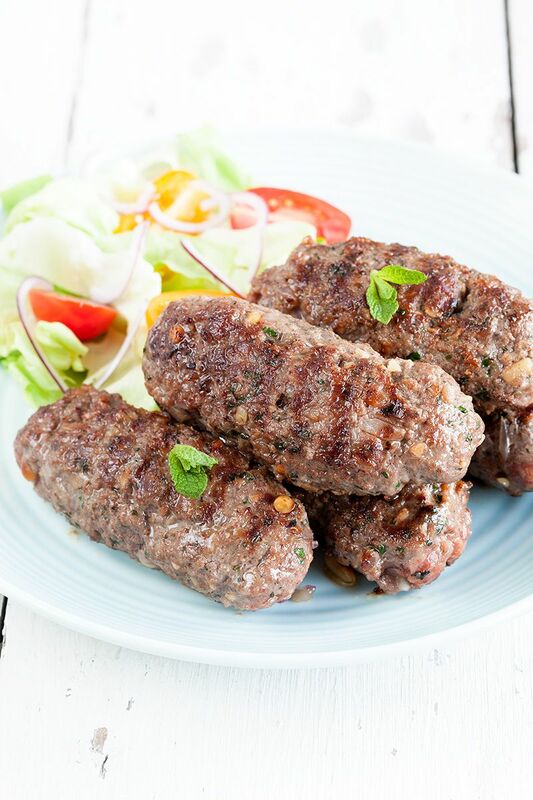 Spicy garlic flavors from this middle eastern beef kofta recipe. 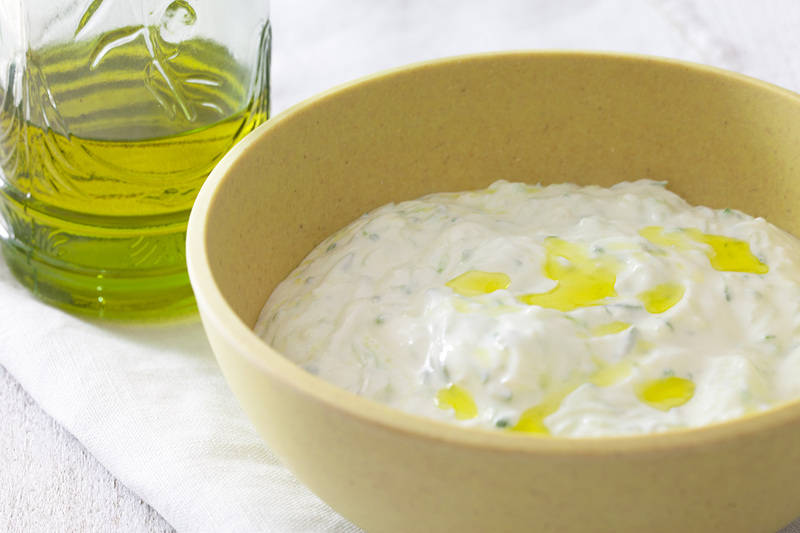 Serve with plain rice, a salad or potatoes. Recipe for 4 people, ready in 20 minutes. Finely chop the red onion and garlic cloves, as fine as you can, or use a grater. RINSE the mint leaves and parsley and finely chop them. ROAST the pine nuts in a dry small skillet for a minute. Be careful they won’t turn too dark. 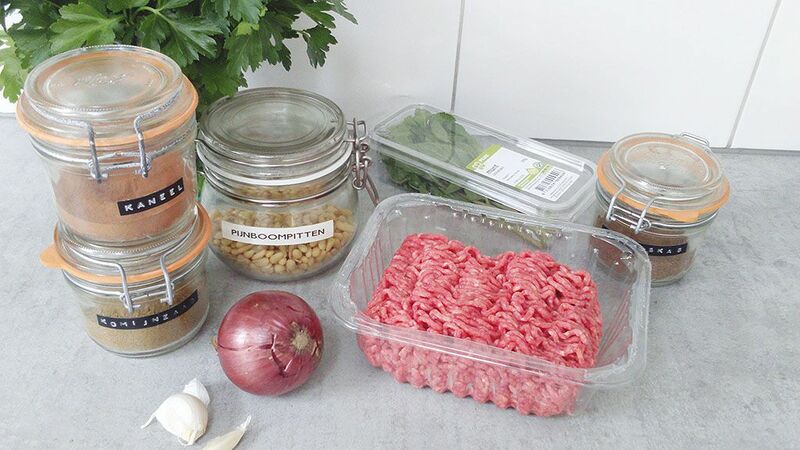 Coarsely chop the pine nuts and combine the pine nuts, minced beef, red onion, garlic, mint, parsley and the ground herbs. SEASON with pepper and salt. Divide into 8 equal parts and use your hands to create the desired size. You can use skewers, or roll them into flat little balls or whichever you prefer. You can set them in the fridge for half an hour, this way they will keep their shape during grilling, but that’s optional. HEAT the grill pan on high heat. GREASE the kofta with a little bit of olive oil. PLACE them on the hot grill pan and cook them for about 4 minutes on both sides. I love all of those spices in that beef! Looks delicious! I recently made a southern cooking and baking blog. I would greatly appreciate it if you would check it out! We’re definitely going to check out your page! They look delicious. I’ll have to give them a try one day. We made this recipe last night with parsley, mint and ground beef from our CSA. It was so flavorful and delicious! Thanks for sharing the recipe!!! 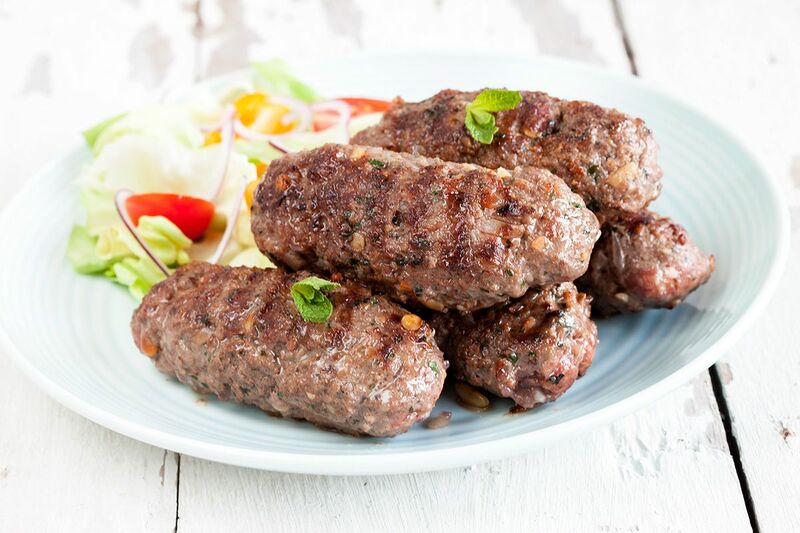 So great to hear you made beef kofta using this recipe! 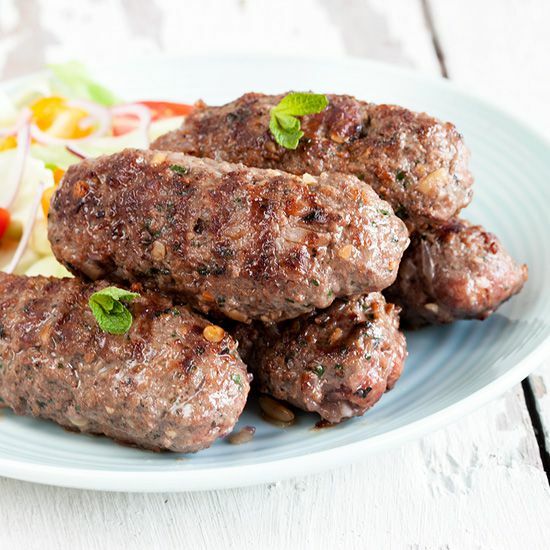 Oh I love Kofta, these look so delicious! Kofta sure is a delicious meal! I loooove beef kofta but have not been able to replicate the kofta I get at this Afghan restaurant nearby. I’ll try your recipe next! So, how was it on the Afghan kofta hamburger you made? Haven’t tried it yet. :] That is from my current kofta recipe, which I like, but I want better. More research is needed… Ground beef is on sale this week so I may try your version soon!